We are well into the first full week of the 2018 Winter Olympics in PyeongChang, South Korea. While watching the athletes compete, I cannot help but think about my recent discovery and love for Korean food and how I now enjoy preparing Korean dishes at home. You only need 10 minutes to make this beautiful dish. You could enjoy a Korean rolled egg omelette for breakfast, as part of a bento lunch, or for dinner. You can vary the vegetables and even add some ham or other meat. Making kimchi fried rice is a great way to use leftover kimchi that’s a bit past its prime, as well as leftover rice. You can make it with Canadian bacon or thinly sliced beef, pork, ham, or even Spam. Or, use tofu for a vegetarian protein. This popular Korean stew can be whipped up in just 35 minutes. It’s another great use for older kimchi as that will lend more rich flavor. There is a lot of room for variation in this dish. You can use beef, pork, or canned tuna, and vegetables including potatoes, zucchini, and mushrooms. It can be a go-to meal to clean out the refrigerator. You only need 15 minutes to make this side dish of Korean seasoned spinach. 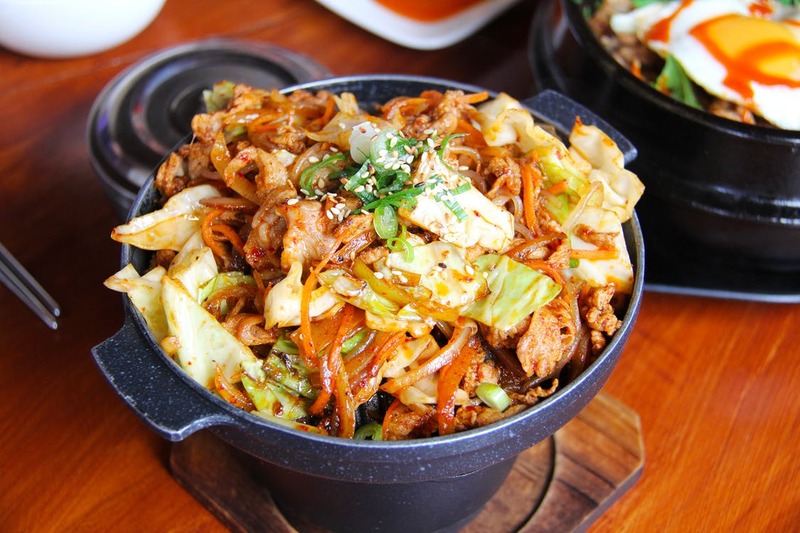 It can also be used as part of other well-known main dishes in Korea such as chapchae (stir-fried noodles), kimbap (rice and seaweed rolls), and bibimbap (rice with mixed vegetables).